Learning to drive is an exciting time as you not only gain a new skill but also a new sense of independence. When it comes to something as important as learning to drive, why risk being shouted at by irritable relatives or learning bad habits from others? 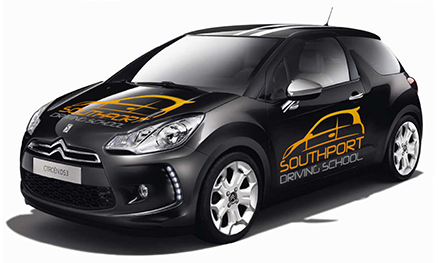 Southport Driving School help people like you gain the most out of every lesson. We cover the areas of Southport, Formby, Birkdale, Ainsdale, Tarleton, Ormskirk and Banks. Our instructor is an Approved Driving Instructor, regulated by the DSA and gives quality tuition to all of our pupils. We are friendly, reliable and professional. At Southport Driving School our approach puts pupils at ease and ensures that they leave each lesson with a sense of achievement; whether it is mastering the dreaded parallel park for the first time or simply feeling more confident with their own driving skills. Each pupil learns differently and we pride ourselves on understanding each individual’s needs, putting those nerves to rest, building confidence and ensuring the highest standard of teaching every lesson. We offer lessons to complete beginners, those who want to refresh their skills, Pass Plus and motorway lessons. Southport Driving School also offer pupils access to Theory Test Pro at no additional cost. Why don’t you see how I can help you become a safe and reliable driver and give me a call to arrange a taster lesson.